This one might be small but it is pretty darn cute. This tragus piercing is very light to wear and with since it also easy on the eyes it will be perfect for most casual outfits. From top to bottom it measures approximately 1 centimeter and 0.7 centimeter wide. The bow carries two small crystals. These crystal are available in different colours. 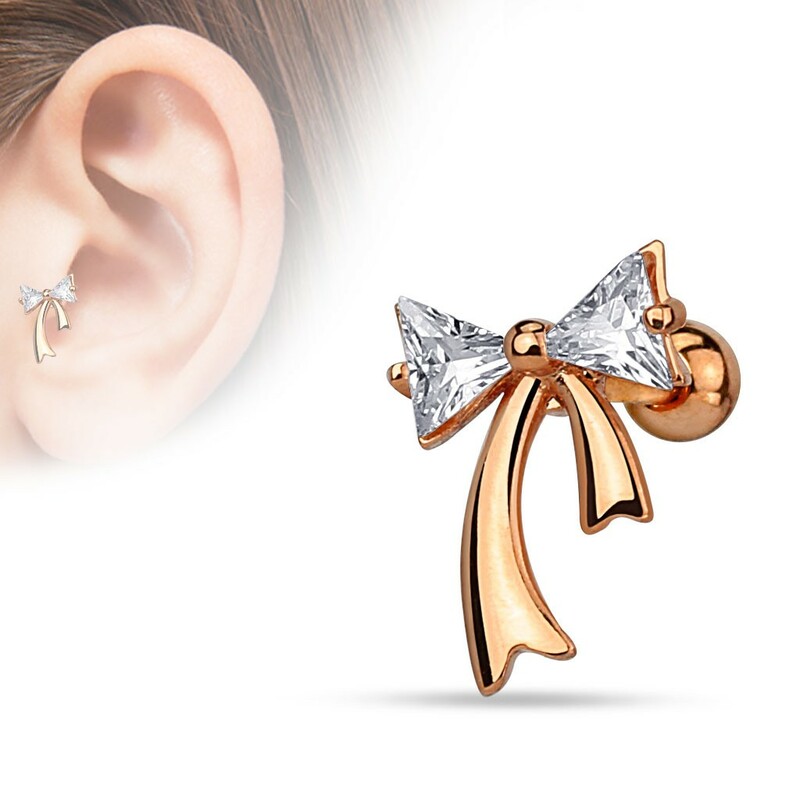 Also the piercing itself can be delivered in a gold plated or rose gold plated version with clear crystals. A really strong glimmer is not present with these crystals. They are a bit too small for that and the light doesn't have enough ways to reach it which creates the glimmering. Which goes perfectly with the easy and subtle vibe this piercing emits. I love this design, one of many I will be ordering. Initially I was worried that it would be too big but I needn’t have done. They are the perfect size.